Our first product to win a Great Taste Award, this is a truly special biscuit. 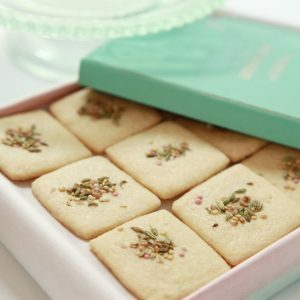 The aromatic scent of fennel and aniseed have been delicately infused to lift this biscuit to new heights. A great after dinner alternative to chocolates or petit fours. 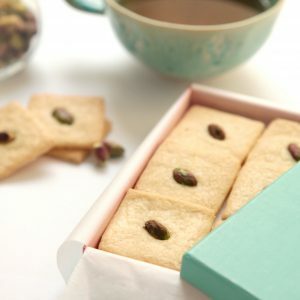 The pistachio rose signature flavour was inspired by a favourite childhood dessert, Gulab Jamun (a dessert soaked in rose-syrup and sprinkled with chopped pistachios) – this delicate biscuit evokes those magical flavours without weighing you down!